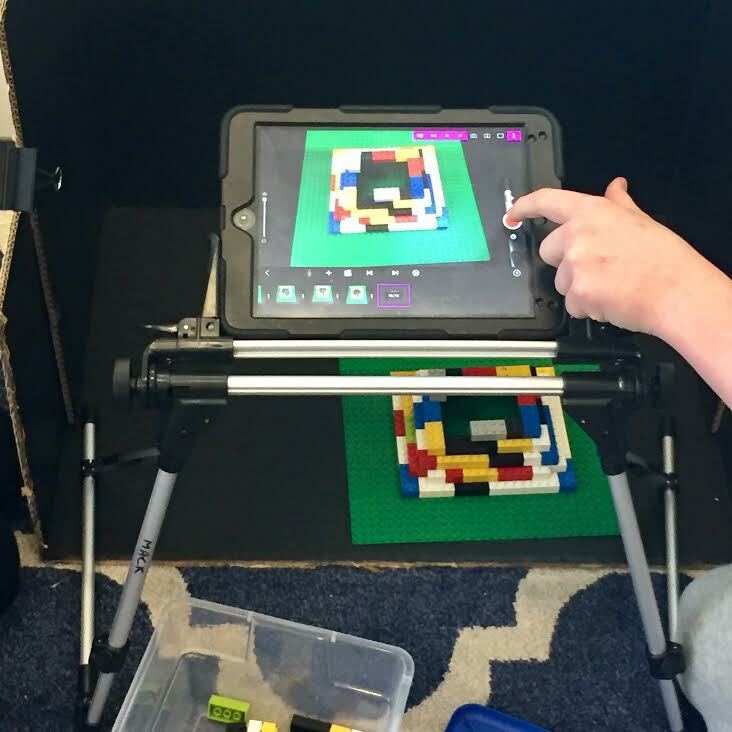 This week, Erin Mack, Instructional Technology Specialist for Needham Public Schools, opened up the High Rock Middle School Technology Center for a MassCUE Learning Tour: Transforming Your Traditional Technology Lab. Six of us spent the afternoon observing a 6th grade technology class in the space, followed by a roundtable discussion with Erin. 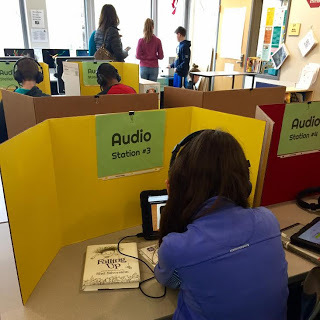 Three years ago, with a grant from the Needham Education Foundation, Erin began transforming the rarely used rows of desktops into a multi-use, flexible lab space. The lab is now a creation space with a green screen corner, collaboration space, and stop motion area. And with tips and tricks on the wall, and bright carpets designating creation spaces, no wall or floor space goes unused. 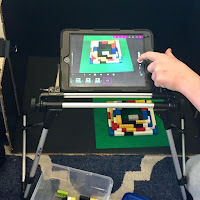 During the hour-long class, students rotated between the green screen corner, audio recording stations, stop animation stages, and Scratch on desktops. students dove into assignments with enthusiasm and happily answered our questions. 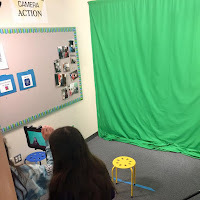 But the large green screen footprint is worth it: when I asked each group of students which project is their favorite, they unanimously answered “green screen!” One group immediately pulled up their Reading for Research project on their iPads to show off their Fruit vs. Oreos PSA. Weeks after completing the project, the girls still giggled as we watched them climb around on Oreos via the doink app. 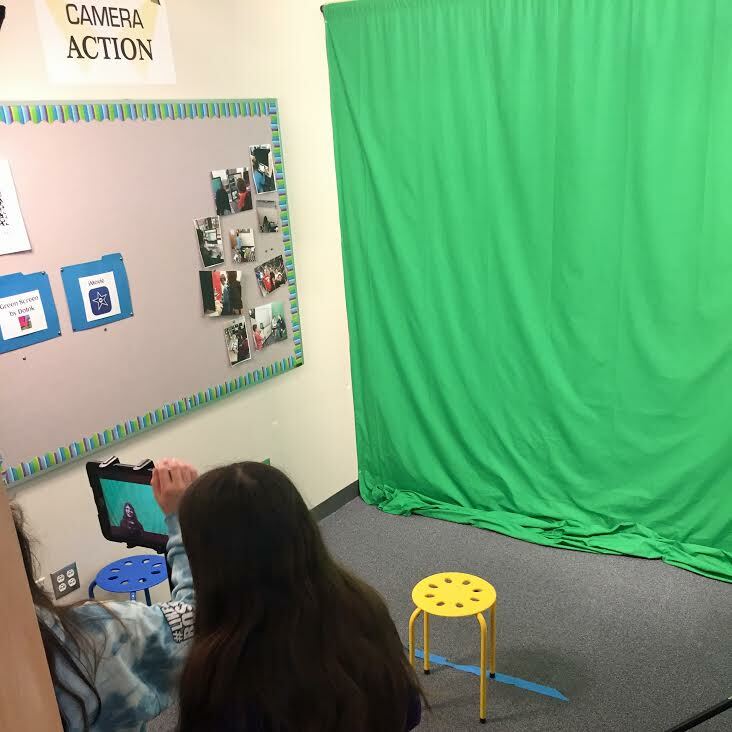 In three years, Erin has built an exciting space for students to become Creative Communicators. I am grateful to MassCUE and Erin for sharing with us!